Around this time of year it’s a tradition of mine to head to my nearest White Company store to check out what lovely festive decorations they have. We’ve only been in our flat coming up to three years and when we first moved in we had to buy all our Christmas decorations from scratch. This meant on our first Christmas in our new home we had to buy those cheap looking bauble decorations where you get around 100 in one pack just to fill the tree! You always here of people saying ‘Oh I got this decoration from here, when I was in..’ blah blah blah. So I thought it would be nice for me to start a tradition of my own to eliminate those cheap looking baubles I had to buy when we first moved in. It just so happens my tradition is going into a store where I could easily spend a fortune. I can’t wait until all my decorations are ones I can cherish and have some sort of meaning. This year The White Company have gone with a sparkly glittery feel to their Christmas decorations, which I absolutely cannot get enough of! 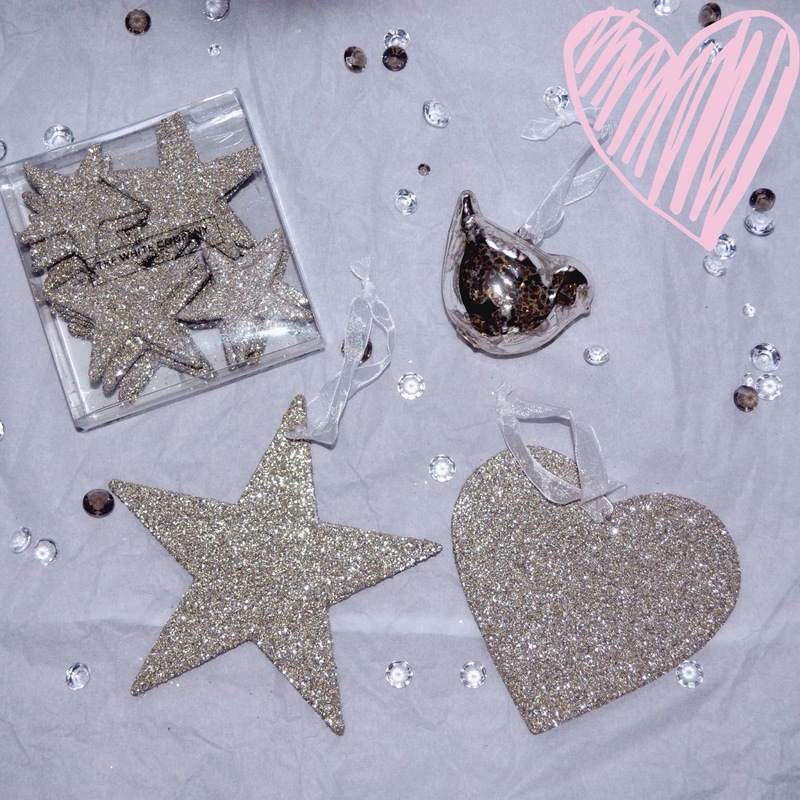 The Glittery Heart Decoration is £4, which I honestly think is reasonably priced for the quality you get. I also picked up a pack of Glitter Scatter Stars (shown above) which contain a mixed bag of small and big stars. I thought they would be perfect for scattering around my flat to add that extra touch of Christmas sparkle or you could use them on your dining table on Christmas day. These stars are £8 and unfortunately sold out online, but I picked mine up in store so I’m sure there are still a few packs left! 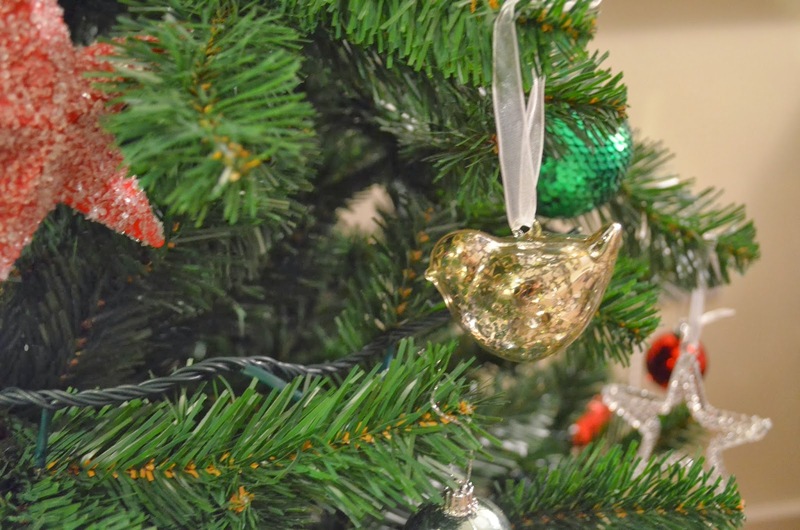 Next up is this Antique Bird Bauble £6 which the store assistant told me is this years best seller this year and it shows because it’s now sold out online, I picked mine up in store and to be honest there were only three there, so you have to quick on this one! It’s made from hand blown fine glass, and then it’s silvered with an antique effect and finished with a cute ribbon tie. It is totally unique and I love it! Like the heart decoration, I had to go for the matching Glitter Star Decoration £4. 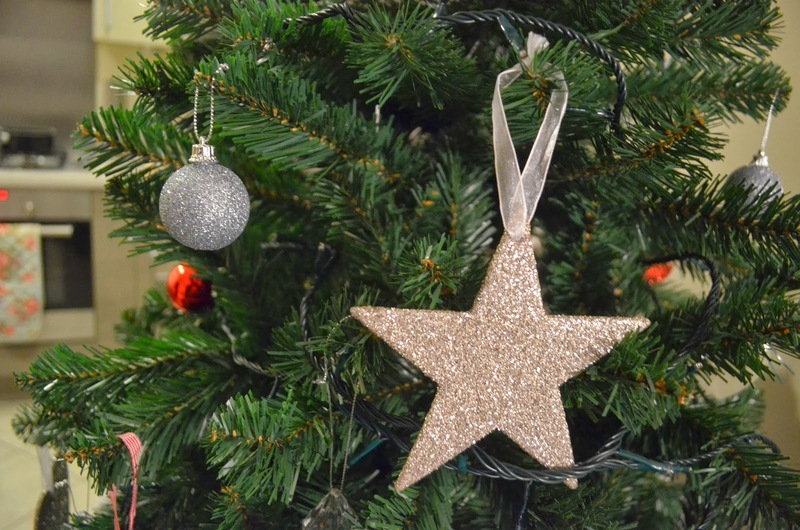 This stunning star is made using German glitter which is apparently the best in the world, as it’s made from crushed glass, fancy! Because it’s glass and not a plastic glitter it has a matt sparkle which I love because it creates an expensive look. So that’s it for my new Christmas decorations. I have made a promise with myself that this will be it until next Christmas, I say that but I just can’t help myself!